El nivel internacional de nuestro trabajo nos permite mantener maxima calidad de servicio posible, a nuestros colaboradores les permite sentirse orgullosos por el tranbajo realizado, y a los clientes - siempre brillar con un estilo unico! Al dia de hoy nos puedes encontrar en 5 paises diferentes. Quieres ser parte de Sakurami? Cupping or vacuum therapy is a method of alternative medicine in which a small area of the skin is subjected to vacuum with glass cups. This can be done by either heating and subsequent self-cooling of the air in the cup or with a mechanical pump. The cup is left in place for five to fifteen minutes. Cupping can be used as an anti-pain treatment for rheumatism, joint pain, back pain, headaches, but also asthma, vascular and organ diseases. Reflexology massage uses relationships between body organs and reflection points on the feet. There is a reflex connection between the nerve endings on the feet and the individual body organs. When massaging certain zones on the foot, the therapeutic response is reflected in the corresponding part of the body. This massage positively affects both physical and mental state. 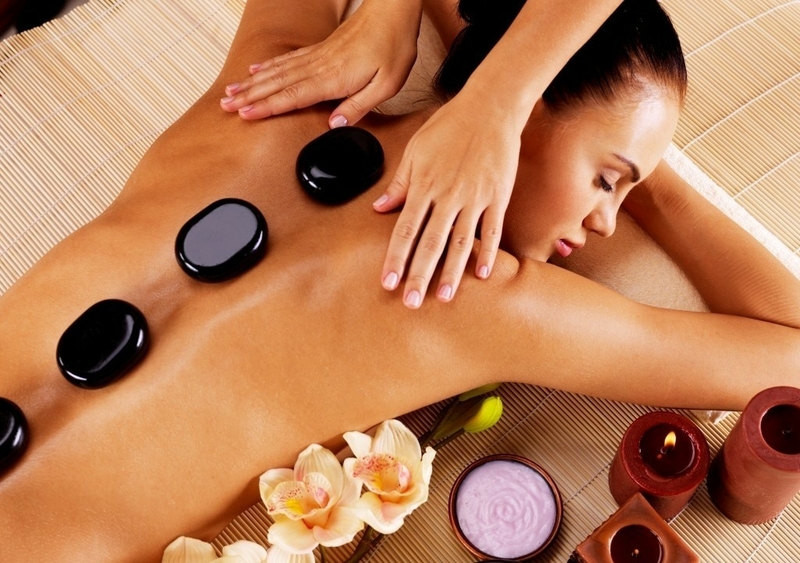 Massage with hot lava stones is one of the best therapies for regeneration and relaxation of the body. Ancient Chinese and Mayans already knew the beneficial effects of stones 5000 years ago. Hot stone massages, or putting precious stones on the body, were also popular with the Incas, native Americans, Mesopotamians and Indians. This massage also has a long tradition in the Hawaiian Islands. Excellently helps with difficulties with stiffened and shortened muscles due to poor body posture, sitting work, unilateral muscle strain at work, sports, or regular activities. In particular, the muscles of the back, neck, thighs and calves are affected. Massage is done mainly by pressuring and pulling. In this way, the blood vessels and tendons are relaxed, thus it improves mobility. The massage is good to improve body condition, help with shortened tendons, after a long joint immobilization due to the disease or after an injury. It accelerates regeneration after physical exertion, hiking, and sports. Sports massage is designed for healthy people. It positively affects physical condition and performance. Depending on the aim of the massage, there can be done a preparatory, conditional, emergency or an anti-fatigue massage. The focus is on the vulnerable parts of the body. When made correctly, it increases the training effect. Manual lymphatic drainage is a tactile technique that helps to correct lymph flow and removal. If the correct flow of the lymph is disturbed, there will be lymphatic swelling, its called lymphedema. Reduced flow of lymph disrupts the metabolism, which affects the immune system. The main therapeutic significance of lymphatic drainage lies in the removal of swelling, but can also be preventative measure. It is advisable to do it when you are fatigued, stressed and exhausted, have rheumatic pains, cellulitis, acne or headache, to stimulate the immune system. Classic massage is a system of tactile massage, which affects skin, single muscles and the whole muscular system. They focus on relaxation and correct muscle tone. The effect of massage shows positive influence on the skin, the tendons and joints. It helps blood circulation, accelerates removal of unnecessary metabolism products, increases performance and reduces pain. The positive effects of massage are reflected on the heart and internal organs too. Massage has a stimulating effect on body performance, benefits good sleep and overall well-being. 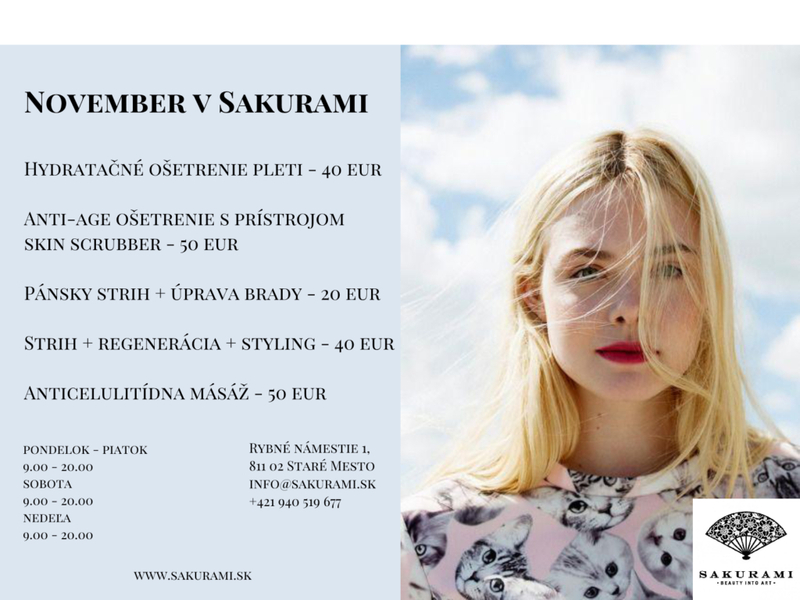 Sakurami Bratislava is a new generation beauty salon from the international Sakurami network. 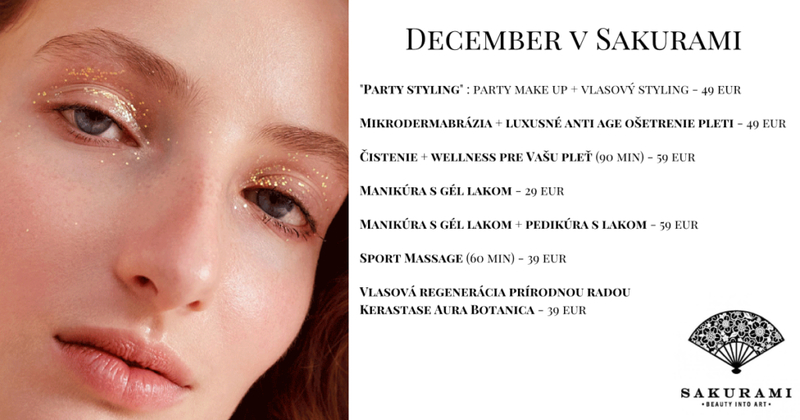 Here we combine beauty treatments with a stylish interior, and the Academy of Stylists with a professional makeup store. 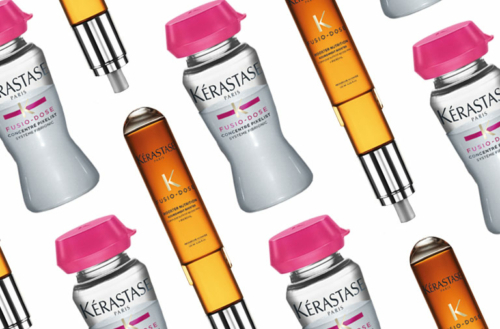 In the new issue of the journal L’Oréal Professionnel, we told — and showed! — how we all arranged. Welcome! of course, meets the highest international standards. established her first beauty salon at the heart of the Russian capital. 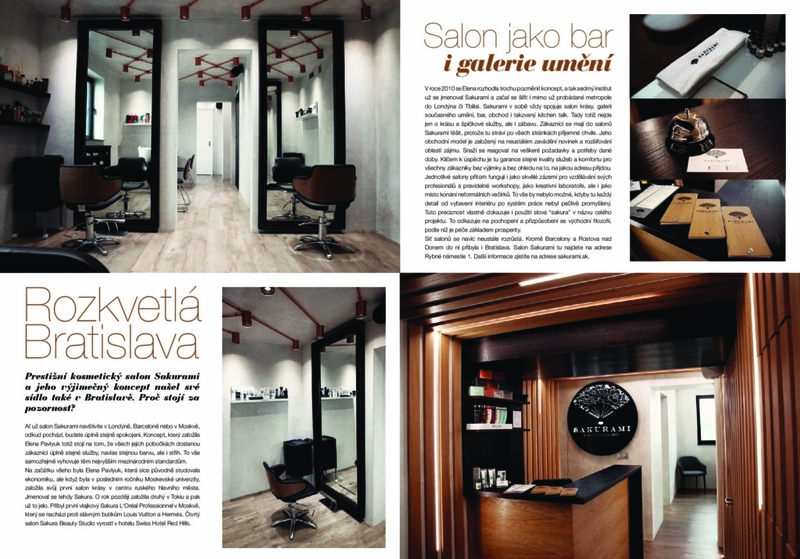 Salon Sakura Beauty Studio grew up at the Swiss Hotel Red Hills. all customers without exception and no matter what address they come from. the detail of the interior equipment to the work system was not carefully thought out. according to which care is the foundation of prosperity. Fish Square 1. Learn more at sakurami.sk. The Japanese manicure helps you to beautiful hands and nails. Damaged, splintered, brittle nails are rebuilt and shine in new splendor. It produces the so-called glaze on natural nails, which prevents further mechanical damage by leaving lipids in the nails. The nail root can produce high quality keratin cells after such treatment. The Brazilian manicure and pedicure includes a complete skin care of hands, feet and nails without a water bath. 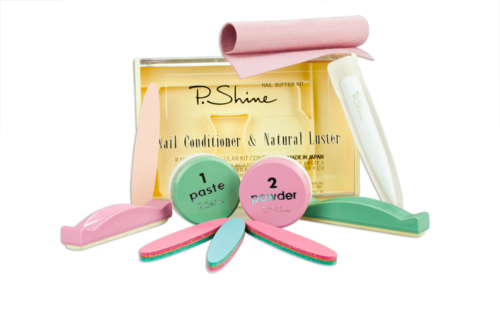 The biggest benefits of this manicure and pedicure are ease and time savings. Immediately after completion of the process, all the material is placed in the waste container. Special gloves and socks contain an emulsion enriched with active ingredients. These quickly soften the skin and hydrate the hands and feet. The emulsion also contains vitamin E with tremendous power of regeneration, wheat protein against aging and special Brazilian Copaiba oil that prevents the spread of fungal and bacterial infections. • The Brazilian pedicure can prevent various problems such as ingrown nails etc. demanding women, that takes only. becomes elastic and resilient, and hair origin – smooth and silky. 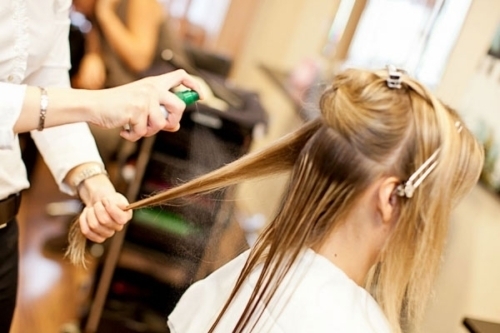 Is a restorative treatment, it strengthens the hair shaft and makes your hair more resilient. 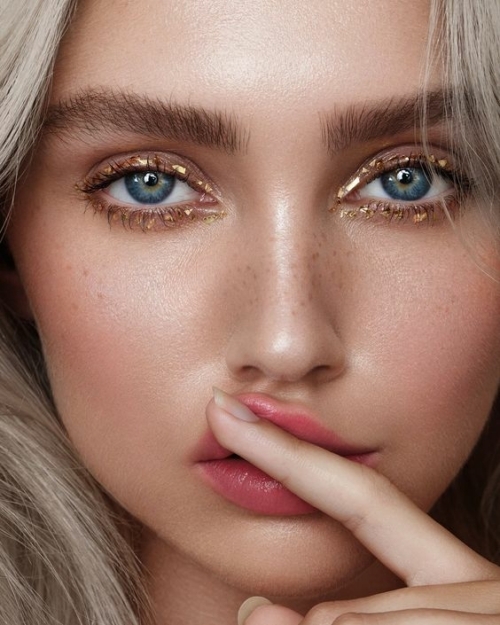 Tonization of skin after make-up removal and cleaning is often underestimated because many people do not know exactly what it does. 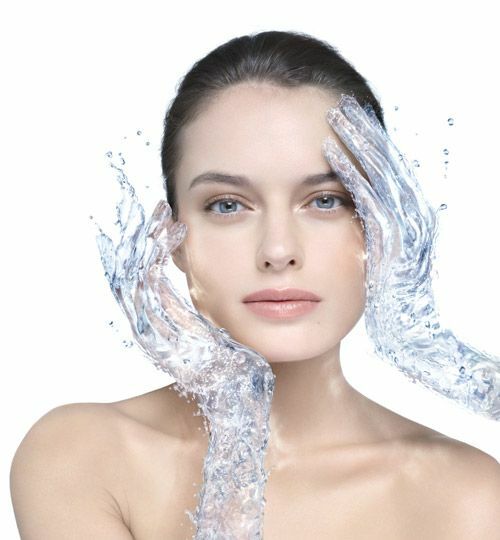 Tonization water removes residue of cleaner, closes pores, rejuvenates skin’s natural pH, stimulates blood circulation, gives a glowing appearance to the skin, and increases the efficiency of further skin treatment. A highly saturated Aloe Vera concentrate provides a soothing effect. Thanks to lavender and mint, it nourishes, softens and improves skin condition. 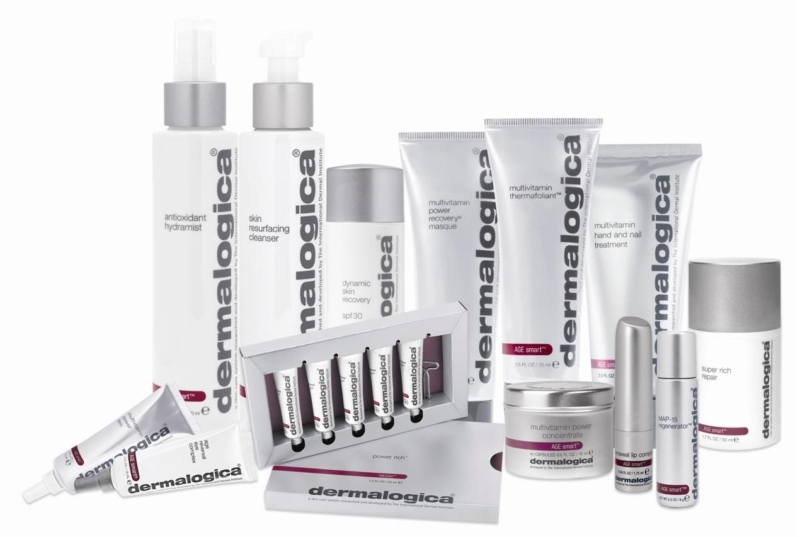 It helps to balance the porosity for optimal moisture absorption, prepares skin for other Dermalogica products. Scientists at the International Dermal Institute have been studying changes that occur during skin aging. However, instead of focusing on the removal of aging skin (wrinkles, pigment spots, loss of elasticity, etc. ), they tried to go understand how it can affect biochemical reactions that precede these changes or how to make it impossible for it to happen at all. 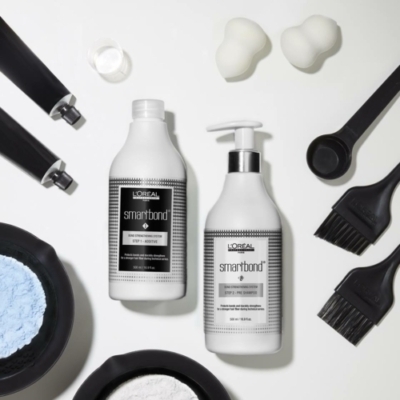 The result of this research was the birth of AGE Smart Dermalogica, a range of products specifically designed to treat and regulate the effects of aging and to control the biological processes that cause these changes. 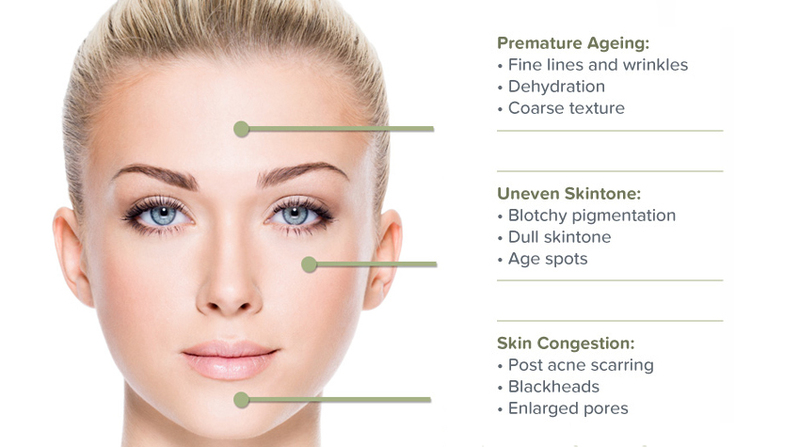 AGE Smart® is an intelligent investment for the future health of your skin! When asked why hydration is important, the clear answer is to maintain the natural water content of the skin. This means that it should be more intense in the case of excessive drying, with less dry skin it is best to hydrate it regularly. Hydrated skin is more resistant to external influences and does not age as fast and wrinkles do not appear as fast as dry skin. Keep youth by hydrating enough. To achieve a better result when incorporating the active substances into the skin, we use ultrasound thereby helping with absorption of hydrophilic and lipophilic substances and vitamins. 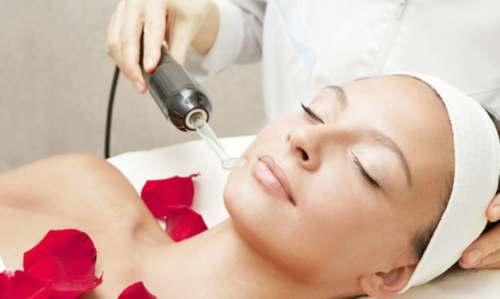 High frequency electrotherapy is an important cosmetic tool in modern cosmetics. Everything is done through a glass electrode. The ozone produced by the device is used to treat acne and seborrheic skin. The device generates high voltages that are the result of AC transformation. The electrical discharge that arises irritates the nerve endings. It results in the expansion of the capillaries, improving of the blood flow, and produced ozone has disinfecting effects. Its use increases blood circulation, drains and disinfects the skin — after deep cleaning. It has antiseptic and disinfecting effects. The ozone that the device makes accelerates blood circulation, improves metabolism and thus slows aging and wrinkle formation. High frequency electrotherapy helps with acne, nausea, irritated skin. High frequency has a positive effect on improving blood circulation and supplying the skin with oxygen. High-frequency electric current helps with dark circles under the eyes and hair loss because of bad blood circulation in hair follicles, which is the main reason for hair loss. 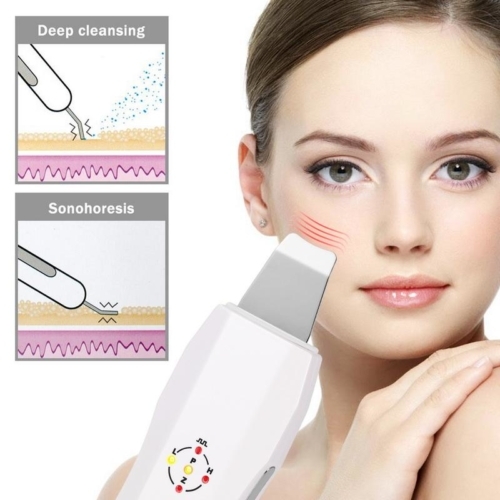 We offer ultrasound cleaning of the skin, which is cleaning the skin with the device skin scrubber. It is painless treatment without pushing and steaming, which delivers perfect regeneration, detoxification and skin revitalization. Using this unique device, we achieve the maximum cleaning effect that will instantly appear. A non time-consuming and painless method of skin care. Using the vacuum tool and attachments with microcrystals of diamonds, the dead cells of the skin are gradually exfoliated. Mechanical exfoliation of the top layer of the skin achieves an immediate improvement in its condition. It is advisable to take the treatment as a multi-session, which is recommended individually according to the condition of the skin. 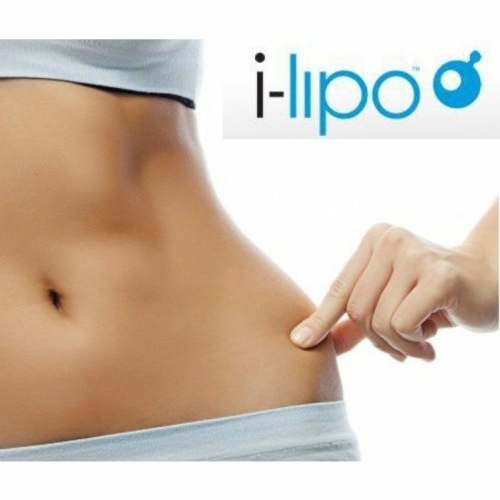 iLipo — High-performance fat removal device. The procedure is pleasant for the customer. and elimination of stress factors. circumference! It is ideal to take 8-10 treatments for even more visible weight loss. © 2016 SAKURAMI. All rights reserved.